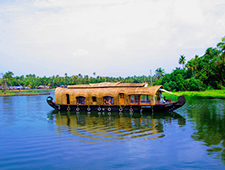 We are Professional Backwater Tour operators, associated wide tour chain links around Kerala Tourist spots. 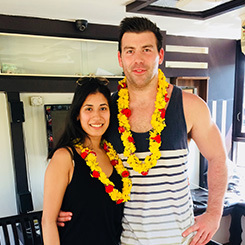 Our Travel concern operating certified all backwater tours,qualified dedicated hosts will ensure your holiday with us incredible. We are one of the major promoters of tourism in Kerala and we assure you that the service we provide is of the best quality. The most fascinating and enjoyable route available. 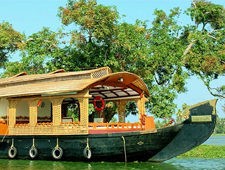 Cruise through the punnamada lake admire the old chavara bhavan traditional nalukettu. Pick up from Kochi international Airport/Rly Stn and drive to Alleppey to board house boat for a Alleppey round backwater cruise. Frist of all I want to thank Mr. HILAL as a tour manager and also our house boat captain and his team for making excellent times for me and my family. 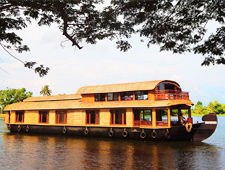 I advise to all readers to spend minimum one full day at PRASANTHY houseboat ALLEPEY for tasting Kerala flavor! 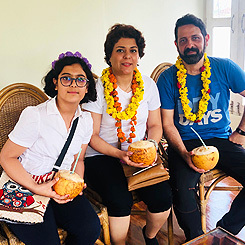 We are an Iranian family who welcomed with enthusiasm reaction of houseboat personnel, beautiful anadem and fresh fruits. They invited us to celebration of delicious vegetarian Kerala food meals, sweet cake, roast bananas, Indian tea, etc. Bedroom was so clean and colorful So that we had a peaceful night near beautiful village. In general it was a memorable experience that I will recommend to all my friends. 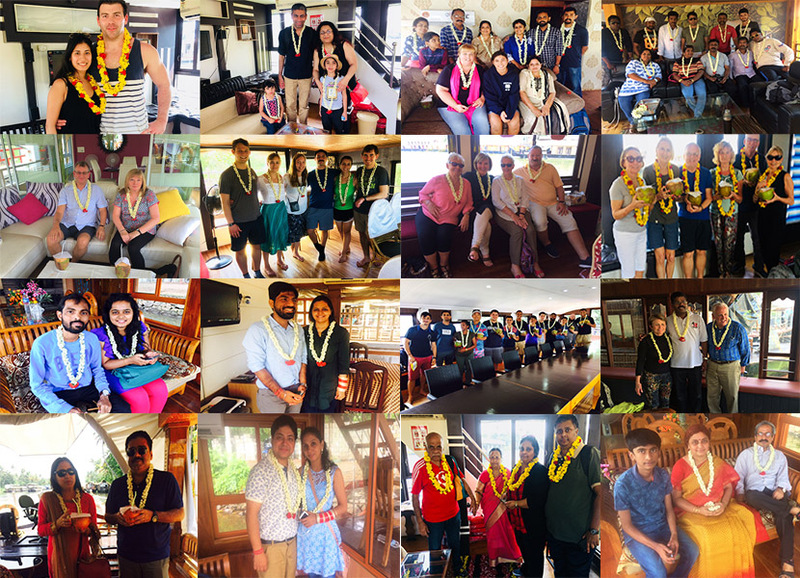 Such an amazing experience on Prasanthy houseboat tour. Everything was organised from start to finish. The house boat was clean and well decorated, we even had an English TV for the evening! 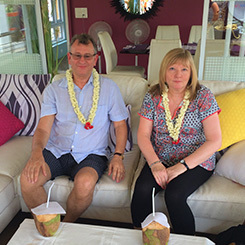 The staff on the boat could not do enough for us - they were so hospitable and didn't let us lift a finger, the captain had good enough English to maintain conversation and learn a bit about each other. The food was very high quality. Mr Prasanthy also met us in the evening when we docked to ensure everything was running smoothly. 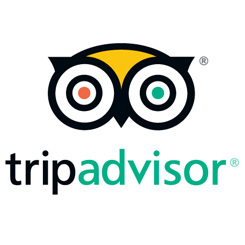 Would definitely recommend Prasanthy tours. Had a wonderful time in Prasanthy boathouse. we had a very good time in prasanthy boathouse. My family members were really happy about the hospitality, service and food. We are looking forward to visit once again in future. 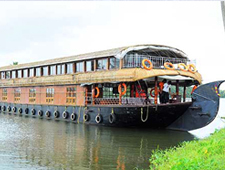 We booked an overnight stay on a premium houseboat with Prasanthy houseboat. We had a great relaxing time watching the scenery go by, bird watching, village life and a thunderstorm and lightning show. They pulled over and we bought a duck from a duck farm for the chef to cook for that night's dinner as we fancied something different.The food was excellent and very tasty. The boat itself was clean and comfortable, the bathroom is looking a little worn though and the hot water wasn't working ( a common occurence in India we've found ) which didn't bother us too much. may be next time we'll book the luxury boat. Our stop overnight was in an area away from other houseboat and very private. The only thing is I wished I'd carried some mozzie repellent as they visited in the evening. 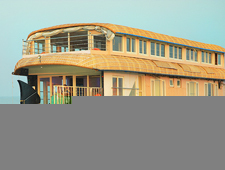 Fantastic experience with Prasanthy Houseboats. We were picked up from Cochin Airport and we stopped at a local restaurant for some breakfast. The driver then drove us to Allepey where we were greeted by our hosts, our houseboat and the manager of the company, Santhilal. After some cocunut water and some lunch, we set off touring the backwaters. We were able to stop to walk around some of the local villages, get a massage and have dinner on the boat. On the second day, Santhilal drove us to Munnar and stopped at various landmarks along the way including a beautiful waterfall. 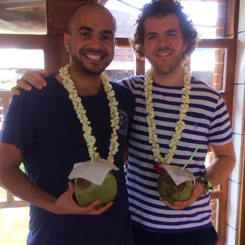 In Munnar, we were able to visit the tea plantations and explore some of the local villages. We also caught a traditional martial arts and dancing show. On the third day, we did a bit more exploring before Santhilal drove us back to Cochin airport for our onward flight. Overall, it was a fantastic experience and well worth the money!! We were looked after for every minute of the trip and the flexibility was great because it meant we got to see lots of different things. Shikara boat is a roof covered traditional motorized canoe, with all 4 sides are open for sightseeing. 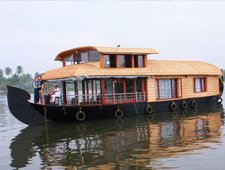 Motor boat is the another type of boat which is totally different from house boat. Kayaking is the use of a Kayak for moving across water. Kayaking and canoeing are also known as paddling. © 2017 Prasanthy Houseboats. Designed by Cloud Media All Rights Reserved.